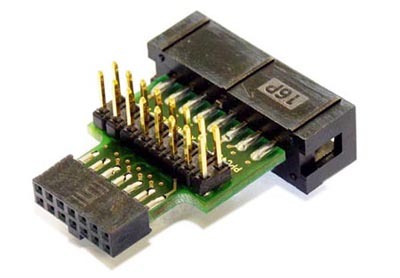 This is a 14 pin double row (two rows of seven pins) connector (pin to pin spacing: 2.00mm). LA-3730 has the same pinout as LA-7723. (*)Signal TRST not necessary for PPC403. This is a standard 16 pin double row (two rows of eight pins) connector (pin to pin spacing: 0.100 in. / 2.54mm).